Deciding to rent out a property might bring up images of smooth and steady cash flow. Ideally, it is, but sooner or later, a property owner will likely face the issue of a tenant who stops paying. At this point, following the laws of each state, an eviction letter must be prepared, but rarely do property owners know how to write one well without doing hours of research. 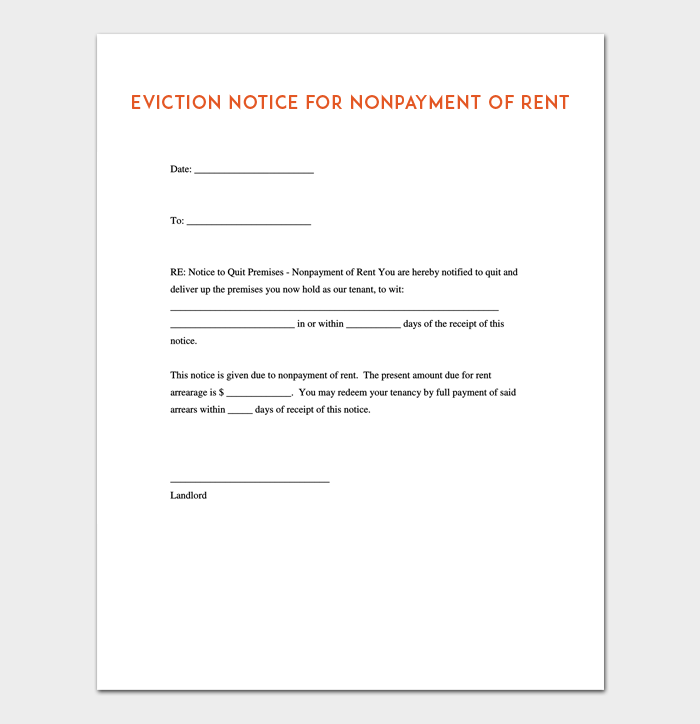 A professionally written Eviction Notice Template can save hours spent in work and get you on the road to having a paying tenant in your property once again. How to Write an Eviction Notice to a Family Member? 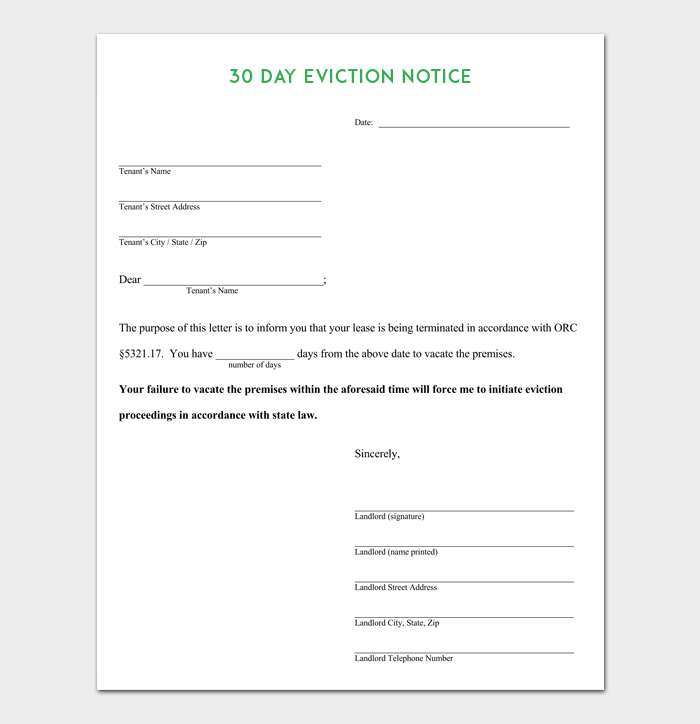 The 30-day eviction notice template meets the needs of states where this is the required amount of time to give notice before the eviction process starts. It is written clearly and is easy to understand. The notice can be simply personalized with the required information and then served in the manner required by the laws of any state. A 3-day-eviction notice is used by landlords to inform tenants that they are in violation of some term of the lease agreement. It is easy to complete and includes space to outline the violation (often non-payment of rent). It also includes an area to list what is needed to remedy the issue in order to avoid the eviction process beginning in 72 hours. If the issue is not able to be remedied due to severe breach in the contract, the 3-day notice is simply a notice to quit, giving the tenant 3 days to vacate the premises. 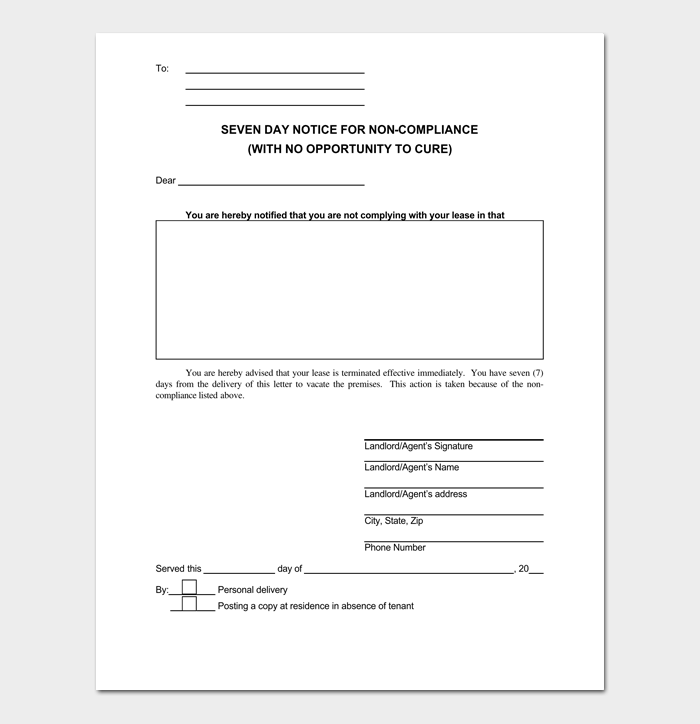 A 7-day eviction notice provides landlords with a simple tool to legally notify tenants of eviction processes beginning in seven days. 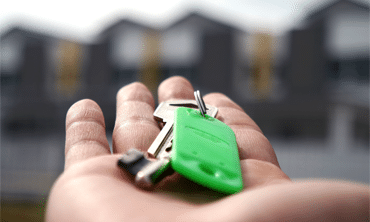 If the issue at stake is a curable issue, the 7-day eviction notice can be easily updated to notify tenants of whatever needs to be remedied and the exact way this must be done in order to avoid the eviction proceeding. 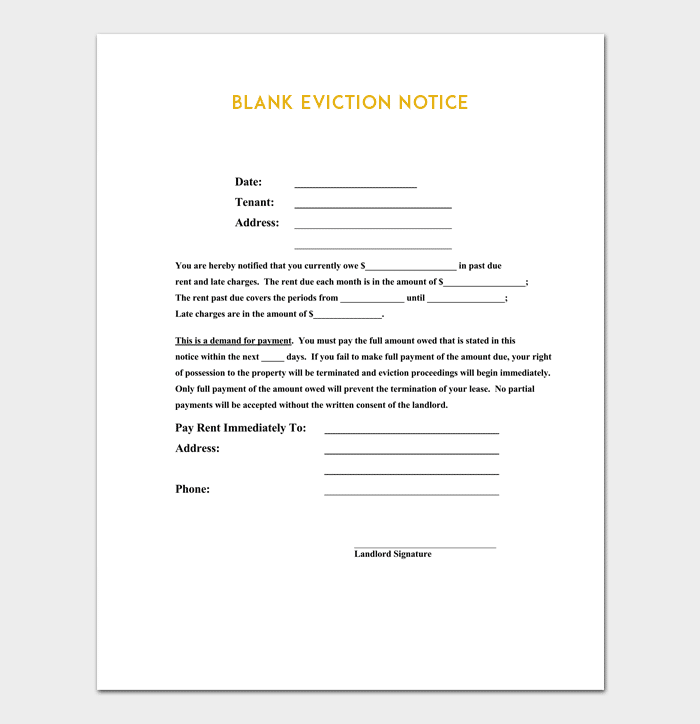 A blank eviction notice is an easy-to-customize tool for landlords to use in a variety of property management situations. For example, if a landlord is managing properties in many states and clearly understands each state’s legal requirements, using a blank eviction notice is a simple way to meet eviction notice requirements no matter where a given property is located. The notice can be simply updated with the specific information related to the situation and served as the law requires. Most times, a simple eviction notice for nonpayment of rent is what a landlord needs. This is a simple, expedient way to communicate with late-paying tenants in a legal and professional manner. Such a notice will include the exact amount required, the form of payment required, and the date and time by which payment must be received in order to avoid eviction proceedings. If a family member breaks a lease term, it must be dealt with in the same way as any other tenant. Professional, clear communication is the key to the unfortunate need to write an eviction notice for a relative. Being consistent with notices is one of the best ways to avoid costly and time consuming legal challenges to the eviction process with any tenant, family or non-relative.